Is there a better alternative to Drops? Is Drops really the best app in Puzzle category? Will Drops work good on macOS 10.13.4? It is simple. It is fast. It is addictive. It is Drops! What is drops!?drops! is a single player game where you try to eliminate all of a color. The more of a color you eliminate, the more points you make!To eliminate drops, there have to be 2 or more of them connected either horizontally or vertically. Clicking on one of the group will eliminate all connected drops. 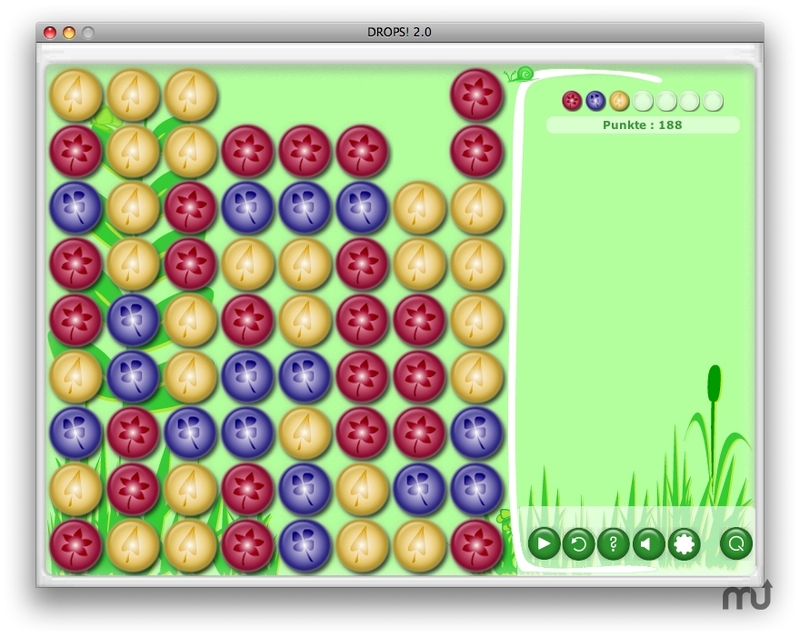 As you clear the board, you will be introduced to new colors to eliminate.In addition, you will get challenges as your play. However, don't sacrifice long term strategy for short term gain! Whole new graphics and Music. Much more fun to play. Fixed a bug in the Undo system which could be exploited to score more than other players. Removed undo restriction in unregistered version. Drops needs a review. Be the first to review this app and get the discussion started! Drops needs a rating. Be the first to rate this app and get the discussion started!